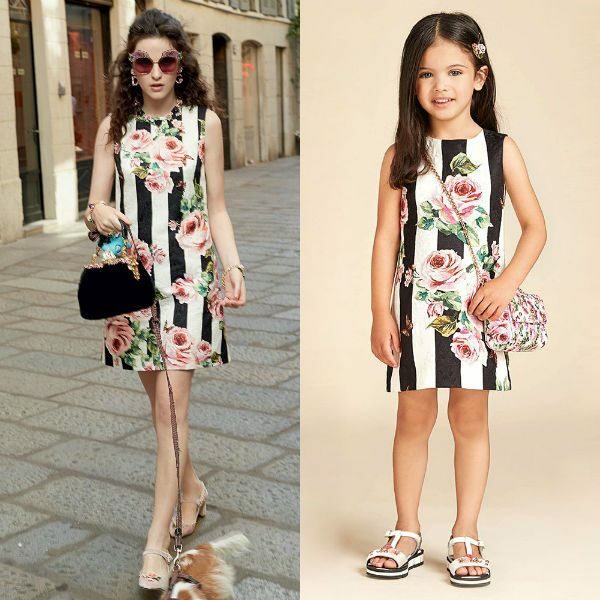 Love this DOLCE & GABBANA Girls Designer Mini Me Ivory & Black Rose Party Dress from the Spring Summer 2018 Collection. Delightfully pretty dress from Dolce & Gabbana made in fine cotton and has a pink rose and black stripe print. Complete the look with a matching purse and sandals.